Radu Marculescu is one of four Carnegie Mellon University faculty members that have been appointed to new Kavčić-Moura Professorships, designed to provide sustained, long-term support for scholars across the university whose breakthroughs and discoveries have the potential to impact the world where human life and technology meet. Marculescu, a professor in Electrical and Computer Engineering, Howie Choset, Irene Fonseca, and Michael J. Tarr are the first recipients of this recognition. The professorships honor inventors José M. F. Moura and Aleksandar Kavčić, whose scientific research and technological innovations have had a transformative impact on the computing industry for more than a decade and a half. Moura, the Philip L. and Marsha Dowd University Professor of Electrical and Computer Engineering, and Kavčić, a former doctoral student of Moura who is an adjunct faculty member at CMU, developed and patented systems and methods that fundamentally increased the accuracy with which hard disk drive circuits read data from high speed magnetic disks. The four faculty members are among the recipients of a series of professorships funded by the university’s proceeds from the 2016 settlement of the patent infringement lawsuit against Marvell Technology Group Ltd. and Marvell Semiconductor Inc. As outlined in 2016, the majority of those proceeds were put into endowment, for the perpetual support of undergraduate financial aid, graduate student fellowships, endowed faculty chairs and cross-campus research initiatives. 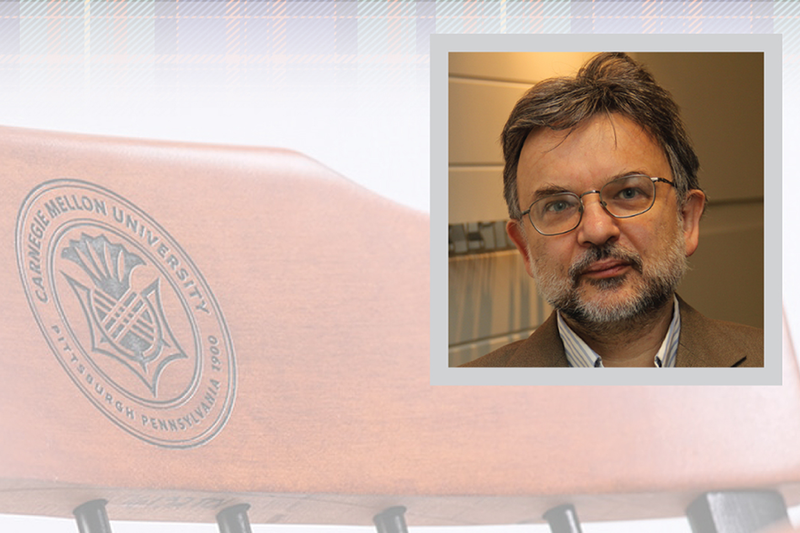 A separate set of professorships created by the Kavčić-Moura Endowment Fund set up with funding provided by Moura; Kavčić; Manuela Veloso, the Herbert A. Simon University Professor of Computer Science and head of the Machine Learning Department at CMU; and Sofia Kavčić will be announced in months to come.